Built for founders, by founders, SaaStr Annual 2019 is the first and largest community gathering of the year for the best and brightest in SaaS. All of team SaaStr has been super hard at work to gear up for our best event yet, but we wanted to make sure that whether you’re a seasoned SaaStr Alum or brand new to the community, that we shared our insider’s secrets to having an unforgettable experience on Feb 5-6-7. Attending any conference for the first time (or even the 5th) can seem a little overwhelming without a little advice on where to go, what to do, and how to make the most out of the show. With 3 days packed full of content with 50+ unicorn speakers, 47 sessions on scaling revenue, and hundreds of mentorship sessions — where do you start? For all you out-of-towners, we definitely recommend packing layers whenever you visit the San Francisco Bay Area. Remember that this year we’re taking our big Tuesday night party outdoors for SaaStr Nights, so pack appropriately. And don’t sweat being away from the rest of your team. Pack your charger and some headphones to use at our on-site 400+ Desk CoWorking Space! This will be your go-to spot if you need to take a break, catch up on work, or write a live blog post. We’ll have a huge, light-filled giant space to just plug-in and get some work done. SaaStr Annual 2019 will be x3 the size of last year and x5 the fun. We’ll be at the 500,000+ square foot San Jose Convention Center: 150 W. San Carlos St., San Jose, CA, 95113. It’s a 5-minute ride from the San Jose Airport or a 35-minute Uber or Lyft away from San Francisco Airport. And if you haven’t booked a place to stay yet, there are a few last-minute hotels available here. We’re also adding real, true gated session registration. With 3 days of content and 300 speakers featuring all your SaaS faves like Zoom, Twilio, WordPress, Qualtrics, Intercom, Hubspot, Stripe, Plaid, Brex and hundreds more— there’s a lot to see! This year you should register for the sessions you want to see beforehand with our brand new Agenda Builder. Make sure you choose the sessions you want to see for each day. On-site at SaaStr Annual, there will be 2 queues for sessions, 1 for the pre-registered attendees and 1 stand-by line. And don’t worry, we’ve saved seats in each session so that there’s extra space in case you prefer to choose your sessions on the fly or want to tag along with a buddy to see a different speaker. Be sure to book a Braindate— 1:1 and 1:5 Mentorship Sessions. This year we’re adding a huge Networking Lounge brought to you by Twilio right in the center of SaaStr Annual 2019. Think couches, pillows and plenty of space to learn something new! It’ll be open from 9 AM – 6 PM every day. Braindates will be hosted in this area and are making a comeback from last year since so many alums told us how much they loved going on Braindates. If you’ve never been on one before, they are designed to be one-on-one & group mentoring sessions based on knowledge you want to share. The goal is to help each other learn something new, find mentorships, create partnerships and exchange strategies. You should definitely book your Braindates before you arrive at Annual so that you can be in the running to become a SaaStr Certified Mentor. Meet a VC, or two and get funded. For real. Open exclusively to attendees that are post-revenue Founders and CEOs, our new Meet a VC program connects Founders with Top Tier Investors. It’s a pretty simple process to apply, but there is a deadline of Jan 31st, so if you might ever want to get funded, we highly recommend submitting your startup ASAP. If you match the criteria of our VCs, they will reach out to you to meet during SaaStr Annual 2019. Login to our SaaStr Annual 2019 Attendee Portal. It seriously has EVERYTHING. Hopefully you’ve been reading over our attendee newsletters every week, but if not, you may not know yet that this year we created an upgraded attendee portal where you can verify your registration details, assign team pack tickets (if you need to), double-check that you registered for the sessions you want to see, and get details on everything you need to know about Annual. You can also go mobile and put all the info about Annual in your pocket by downloading the SaaStr Events mobile app. If you’re in town early or local, grab your badge on Sunday or Monday and get extra SaaStr Bucks! Sunday, Feb 3rd, in the Lobby of the San Jose Hilton or Marriott from 12 – 6 PM. Monday, Feb 4th: From 10 AM – 7 PM in the main hub of the San Jose Convention Center (just follow the signs to registration. It will also be open from 12 PM – 8 PM in the Lobby of the San Jose Hilton or Marriott. We realize you might be getting in late, so be sure to grab your badge, then head to bed. Your future self will thank you! Tuesday, Feb 5th: Registration Opens at 7 am — In South Hall, Adjacent to the main Convention Center at 435 South Market Street. Please note on Tuesday, we are not doing registration at the San Jose Convention Center itself. Instead, we are doing registration at the enormous South Hall behind the Convention Center. This will allow us to 3x the throughput for reg and avoid the lines of past years. Trust us, it will be worth the 2-minute walk. There will be plenty of signs and lots of SaaStr Staff to guide your way. Wednesday, Feb 6th & Thursday, Feb 7th: Registration will be open in the main hub of the San Jose Convention Center from 8 AM – 5 PM both days. SaaStr Bucks are back this year! Get ready to earn some epic swag. We’ll be sharing more ways to earn bucks and limited edition swag with attendees in the days to come as well! There’s a lot going on so feel no pressure to try and attend as many sessions as possible. We’ll video all of the core sessions and send them out post-event, so if you miss anything or don’t want to an end a conversation early, you can watch the ones you miss later. Take time to go on a Braindate or two, use the co-working space to catch up on emails or relax in our biggest SaaStr Square Park ever! There will even be an art car, complete with a live DJ in the Sponsors We Love expo all 3 days, so trust us — there will be a lot of great content moments and a lot of incredible places to meet people, make a new friend or learn about the latest and greatest in SaaS. Just wait ’til you see everything we have in store for this year’s Annual. There’s a ton of content and networking for everyone all 3+ days that we couldn’t possibly list them all here, so here are some highlights and must-sees if you need help building out your schedule. The day continues with a special lunch on Monday for female founders and execs, and we’ll continue on with more expert sessions, as well as open Q+A’s running almost all day in SaaStr Square Park. Then when the content stops, the party starts. 🎉 The cocktail parties will start at 4 PM right in the venue in the Sponsor Expo. At 4:30, PagerDuty and Crunchbase are sponsoring Inclusion Awards on-site in SaaStr Square Park. And then the most epic party we’ve ever thrown. SaaStr Nights will go from 5:30pm-10pm. This will be really fun. A block-and-a-half from the Convention Center is the super-cool Arts District on First Avenue, and we’ve shut almost the entire thing down for informal parties and meet-ups at all the cool spots. Gainsight will have a Speakeasy at Cafe Stritch, Pendo a Karaoke bar at The Ritz, Zoom a Founders Meet-Up at The Continental, we’ll have free and fun Rock Climbing all night, DJ’s in the street, Mixmax will have a Sales Extravaganza at Forager, Lighter Capital will have a Taco Bootstrappers party at Tac-Oh, and much more. It will be super fun. Just plan on making your way over there around 5:30 or whenever you want. No rush. But bring your badge to get in. There will be food and drinks at all the venues, but we’ll also have $10 Off the Grid food trucks if you want something different or more substantial. 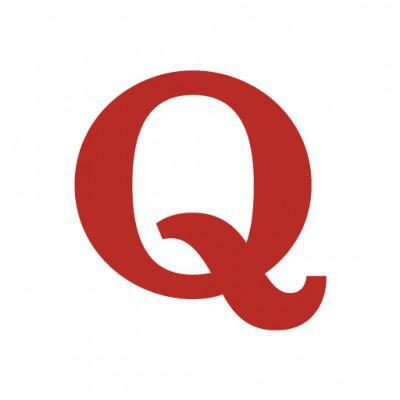 Quora Writing Sessions: Quora did a writing and content marketers workshop last year, and it was super popular, so we’re expanding it this year. Sign up in the online session registration. PlatoHQ Product+Engineering Mentoring Sessions. Plato will be putting on some incredible mentoring and teaching sessions, both in larger formats and in 1:8 roundtables, with the top VPs and Directors of Engineering and Product at the top tech companies. “Night at The Museum” at the very cool Tech Museum. Alum have been asking for a quieter social event on Wednesday, so this year we’re doing that. We’ve rented out the entire and super-fun San Jose Tech Museum on Wednesday night. Just bring your badge. It will be open from 6pm-10pm and is right across the street. It’s huge and has tons of fun exhibits, so it’s a quieter place to explore and meet new friends. We’ll also have few bars set up for you to mix & mingle. Here comes the money— Thursday is our ever-popular Money Day, with 50+ VC presentations. We’ll kick off with some amazing, more informal sessions with the President of Atlassian, the COO of Stripe, and the CEO of WordPress/Automattic, and then focus the rest of the day on topics related to money. How to raise it, if to raise it, how to spend it 💸etc. Some things that are unique to Thursday: VC Day Sessions. Tons of top VCs and funds will in essence pitch you in smaller, informal sessions of 150-250. Sign up ASAP in the agenda builder — these sessions are super popular. At about 4 PM, we’ll kick off a “Progressive Party” in SaaStr Square Park, and go until they kick us out with the Last Call Party in the Expo. We’ll have drinks and noshes starting in SaaStr Square Park, then in the hallway on Floor 2, and then up in the Expo. The Art Car will be all lit up, we’ll have dancers and other fun activations, and the Last Call part will run upstairs until 7pm-8pm, or whenever they kick us out.